Pure Data Japan 1st Session イントロダクション from puredatajapan on Vimeo. 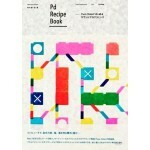 PDJ1st 1 matsumura basic from puredatajapan on Vimeo. Pure Data Japan 1st Session – 2 美山千香士 音響合成レクチャー from puredatajapan on Vimeo. 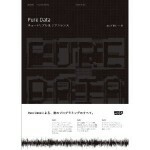 Pure Data Japan 1st Session – 3 岩崎修 PdによるLEDドレス・コサージュ制御 from puredatajapan on Vimeo. Pure Data Japan 1st Session – 4 脇田玲 Pd+テキスタイル・インターフェース from puredatajapan on Vimeo. Pure Data Japan 1st Session – 5 松村誠一郎 GEMとMMP from puredatajapan on Vimeo. Pure Data Japan 1st Session – 6 美山千香士 Pdとデバイス (Arduino + Leapmotion) from puredatajapan on Vimeo. Pure Data Japan 1st Session – 7 トークセッション 美山＋松村 from puredatajapan on Vimeo. Pure Data Japan 1st Sesion 8 小楠竜也 Pd+openFrameworks from puredatajapan on Vimeo. Pure Data Japan 1st Sesion 9 山本俊一 PICrouter+Pd+MobMuPlat from puredatajapan on Vimeo. This article was posted in Sessions. Bookmark the permalink. Follow comments with the RSS feed for this post.Comments are closed, but you can leave a trackback: Trackback URL.